From CBD oils, CBD extracts, CBD capsules, and CBD topical lotions to CBD granola bars, CBD coffee, and CBD honey, it seems almost everything is being infused with this seemingly newly discovered compound. The most recent announcement pertaining to the CBD market came from none other than the Coca-Cola Company out of Atlanta, Georgia. So why would a company such as the Coca-Cola company that has been in business since 1892 all of a sudden be interested in branching into a new beverage market? The answer is simple. The CBD market is predicted to be worth more than $22 billion by 2020. That is a lot of money even for a beverage manufacturer of Coca-Cola’s size. The movement to re-legalize cannabis around the world has become more successful in recent years. The research surrounding this miraculous plant has also become more abundant. What many believe to be one of the most significant discoveries is surprisingly not based upon one of the most researched compounds found in the plant. The most significant development regarding cannabis that many consider to be the medical breakthrough of the century is the discovery of and isolation of the cannabinoid known as Cannabidiol AKA CBD. This naturally occurring phytocannabinoid is found in many cultivars of hemp as well as many different strains of the psychoactive form of cannabis commonly known as marijuana. CBD, unlike the more well-known phytocannabinoid THC, does not provide any psychoactive or intoxicating effects. Very similar to THC, CBD has the potential to offer a plethora of different medical benefits. Benefits to patients suffering from a variety of different ailments. Not only does CBD provide potential medical benefits it has also been scientifically proven to combat the psychoactive effects of THC. CBD has been shown to be effective in helping to treat a wide range of conditions. Conditions ranging from anxiety and depression to pain, inflammation, nicotine addiction, skin disorders, epilepsy and many more. Coca-Cola isn’t the first beverage company that has hinted at entering the CBD market either. In fact, several already have. Constellation Brands, the parent company of the popular brew Corona announced that they were spending nearly $4 billion to up its stakes in a Canadian cannabis producer known as Canopy Growth. Canopy Growth is estimated to worth more than $10 billion. Other beverage makers that have entered into the sector include Molson Coors which has entered into a joint venture with Hexo’s Corp. Hexo’s Corp was formerly known as the Hydropothecary Corp and is based out of Quebec. They plan to work together to produce cannabis-infused beverages for the Canadian market. Anheuser Busch, the manufacturer of Budweiser beer, has also mentioned a potential CBD-infused beverage line. This is in addition to Diageo PLC, the maker of Guinness which is currently in discussions with multiple Canadian cannabis producers. We can’t forget to mention the craft-brewing label known as NV’s Lagunita’s a Heineken company. This company took it up a notch and has already launched a brand that specializes in THC infused non-alcoholic beverages. Since this announcement from the Coca-Cola Co. stocks in a few different Canadian cannabis producers have seen an increase in interest. Shares in Aurora Cannabis rose as much as 23% after the announcement to over $8 a share. Tilray Inc. also nearly a 9.5% increase as well. 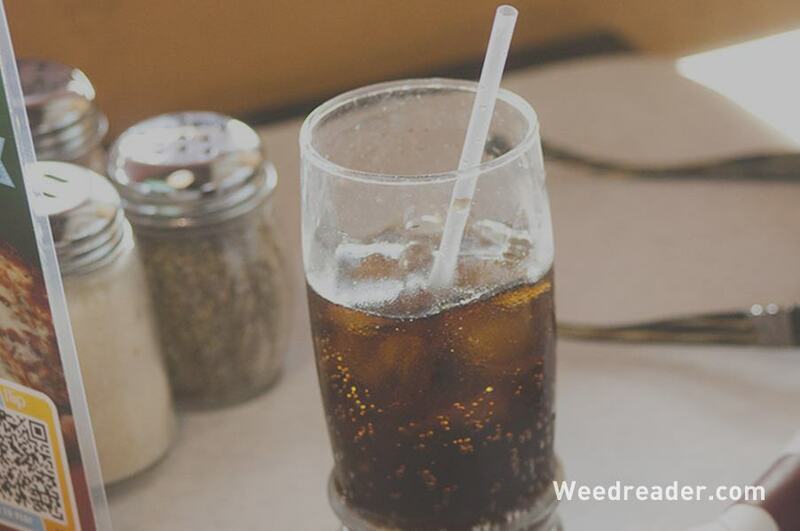 When it comes to the question of whether a CBD-infused Coca-Cola offering could be available soon, the answer is simple. We simply must wait. What we do know is that they are paying close attention. It is on their radar, and it wouldn’t be surprising if it weren’t a Coca-Cola at all as the company has also recently ventured into other beverage options such as tea and juice in recent years. They also recently spent $5.1 billion to acquire Costa Coffee earlier this year. Considering the potential growth for this market in coming years, it would seem natural that the Coca-Cola Co. and every other major player in the beverage market would want to take advantage of this opportunity. Only time will tell if they will.